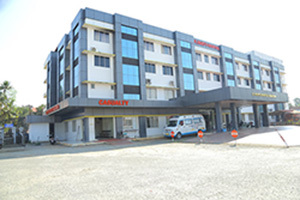 This hospital which was started in 1947 as a small dispensary is presently a full fledged 200 bedded hospital with facilities such as operation theatre, clinical laboratory, scanning, X-ray,E. C. G., intensive coronary care unit, etc. Eminent specialist doctors head the departments of Medicine, General Surgery, Gynecology, Pediatrics, Dental Ophthalmology and ENT. A well furnished mortuary started functioning at our hospital since last year. This Charitable Organization of the parish was established in 19743 and it provides different kinds of help and support to the poor and the needy irrespective of their cast and creed. It has succeeded in providing 250 houses to the homeless. In addition to this, each year, it builds 10 houses and undertakes renovation of at least 50 houses. It also extends financial support to the poor for their marriage and provides assistance to such people for education, treatment and dress. The Sangaham also distributes sewing machines for the promotion of self-employment among women, and provides for meal for 180 financially backward families. Assistance in various forms is provided also directly from the Parish and through its hospital inthe form of free medical care to the poor. A unit of the Malankara Jacobite Syrian Youth Association is functioning actively in the Parish.On all Sunday evening from 7 p.m. onwards this association conducts prayer sessions and Bible classes. The members of this association visit the homes of the sick and pray for their recovery. This is an association of the senior members of the parish who are over sixty years of age. It Organize discussions on religious topics and closely monitors and evaluates the activities of the parish and proposes guidelines for its effective functioning. Being the oldest among the organized spiritual activities of the parish the Prayer Meetings have special significance. Prayer Groups are functioning effectively in all the 43 wards of the parish. These prayer group activities originated from the tradition of the prayer group activities originated from the tradition of the prayer assemblies( Prarthana Kootangal) that existed in the parish in olden times. Unit of Sathya Viswasa samrakshana Samithi is functioning in the church aimed at inspiring the parishers under the patronage and maintaining allegiance and commitment to the Apostolic Throne of Peter and the Apostolic see of the Holy Patriarch of Antioch and the Bishops of this Apostolic lineage. A large number of parishioners irrespective of age are participating in the programs of this organisation. 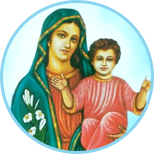 This is a prayer oriented organization functioning actively in the Malankara Jacobite Syrian Church with its avowed mission as the evengelization of India. A unit of this Organization is functioning in this parish under the leadership of its priests. Every Thursday from 7.p .m. Onwards eminent evangelists take classes in the parish hall on topics based on Prayer Faith and the Holy Text. The mission also conducts special prayer sessions for the sick and the suffers.